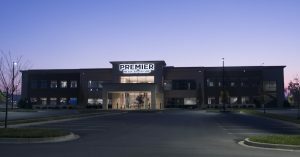 Established in 1995, Premier Medical Group is a hub for primary care. Serving as a starting point for all medical needs, our integration of multiple specialties for the ease of referring and access, and convenience to all the services we offer, means our patients reap the benefits. The vision that began with 22 doctors, today touts 37 board certified physicians and 15 full time Nurse Practitioners and Physician Assistants helping to extend the care that our patients want and need. In our third decade of business, we are the area’s largest multi-specialty group, and our workforce of 300-plus ranks us among Clarksville’s largest employers. We are proud to offer six medical specialties, clinical research, diagnostic imaging and laboratory services. Over the years we have received the Better Business Bureau Torch Award for Ethics, annual recognition since 2003 by the Medical Group Management Association and most recently highest recognition by the National Committee for Quality Assurance as a Patient Centered Medical Home. In 2018, Premier Medical Group provided services for almost 200,000 patient visits. That translates to a lot of patients, and we renew our commitment daily to treating each one with respect and compassion.